Expect to find busting bass loops and bare knuckle bass hits, tough kicks and metallic snares ambush the crowds with a right hook. 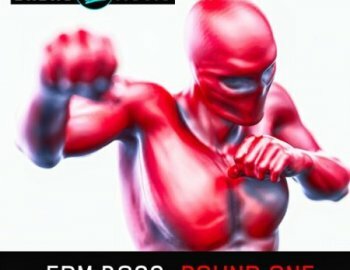 As well as Trap and Future Bass style drum hits that pack a punch, 'EDM Boss: Round One' also contains a huge collection of complex drum loops including full beats plus multiple split layers for versatility. Stylist music loops are ready to drop and tear up systems so you can dive right in. Inspired by EDM bosses such as Getter, Skrillex, Boombox Cartel, Zomboy, Barely Alive, Kill The Noise, Eptic and even Noisia, this hefty pack weighs in at 836 MB containing 55 Bass loops and 48 music loops, 48 drum loops, 51 top loops, 48 FX, 148 drum hits, 31 bass hits and 12 synth hits. Also supplied are WAV stem files of the demo track for instant inspiration and flexibility. Get out of the corner and into the ring. 3, 2, 1, Fight!